Trying to identify which species of shrimp this is has proved to be more difficult then I desired. It has become a field of rabbit holes. Each time thinking that I found it it turn out No. I only have one photo of this fellow. To date, nine valid species are known in this genus and they show a wide diversity of morphological features such as shape of cornea and eyestalk, chelipeds and dactyli of ambulatory pereiopods, coloration and host specificity. Although many underwater photographs of these colorful shrimps are available in guide books, magazines and internet, there are rather few taxonomic reports on the species of this genus and most species only have limited confirmed geographical records. Moreover, it is highly likely that more species are present in Laomenes. In Greek mythology Laomenes is a son of Heracles and Oreia, daughter of Thespius, king of Thespiae, and Megamede; during his hunt for the lion of Cithaeron to free Thespiae from this scourge, Herakles stayed with Thespius for 2 months, as a result all 50 daughters of Thespius and Megamede bore him a son each (except the oldest, who produced twin boys); Laomenes was one of these 51 boys. 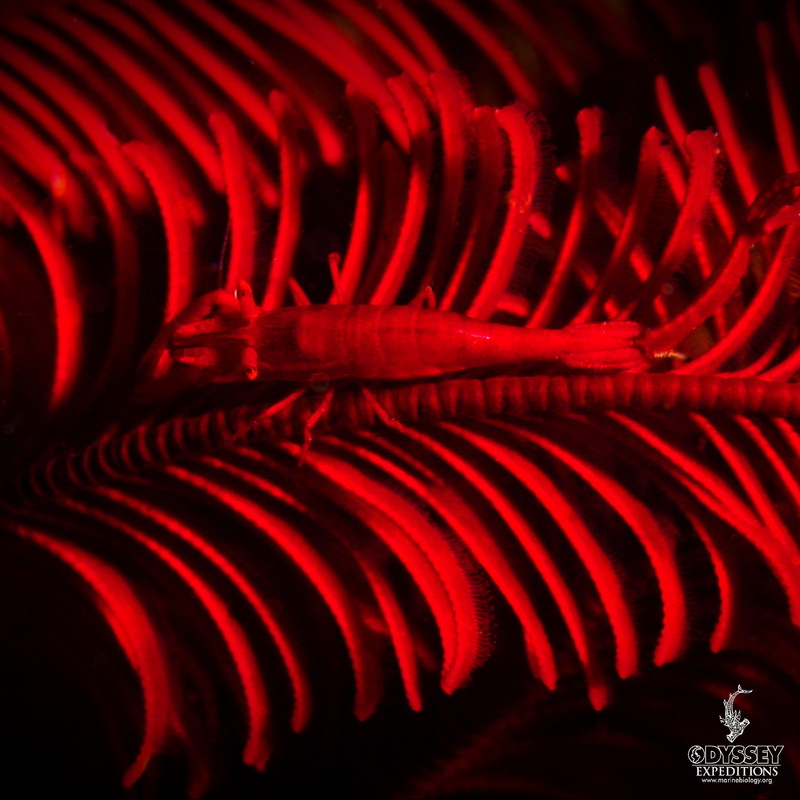 This is the true color of the shrimp and the crinoid host. I have decided to name him “Skinny Adam L”. It is a lighter shade red than Maroon 5. Jon B, jason B said “for crinoid out loud that is a bad joke”.